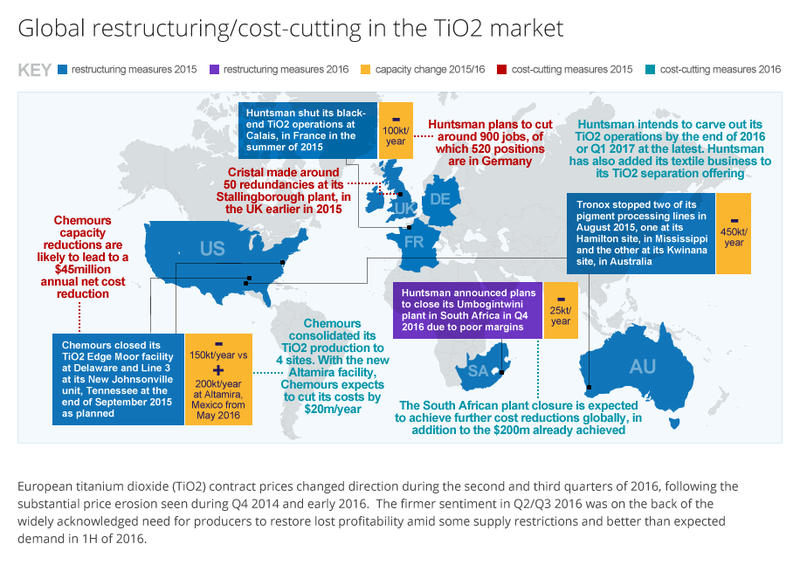 European titanium dioxide (TiO2) contract prices changed direction during the second and third quarters of 2016, following the substantial price erosion seen during Q4 2014 and early 2016. The improved market sentiment in Q2-Q3 2016 was helped by a widely acknowledged need for producers to restore lost profitability, amid some supply restrictions and better-than-expected demand in the first half of 2016. Check out the updated ICIS infographic to see the most recent cost-cutting measures in 2016 and the impact on supply and demand.